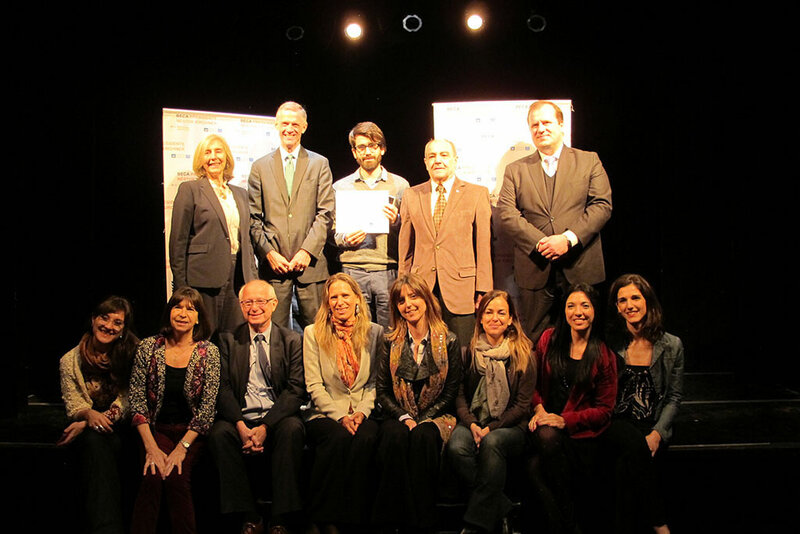 New School President David Van Zandt with organizers and Fellows of the President Néstor Kirchner Fellowship at Universidad Nacional de San Martín. Four young Latin American leaders have been chosen to study at The New School in the fall. The students—hailing from Argentina, Bolivia, Brazil, and Mexico—will come to the university as part of the sixth edition of President Néstor Kirchner Fellowship, a program that trains and supports students from Argentina, Latin American and Caribbean countries who have demonstrated commitment to both academia and public service. The fellows were announced during a ceremony at Universidad Nacional de San Martín, which partners with The New School’s Observatory on Latin America to present the Fellowship, in August. This Fellowship is inspired by the legacy and achievements of former President Néstor Kirchner during his term as President of Argentina (2003-2007), and as the first Secretary General of UNASUR (2010). The Fellowship consists of one two-week stay at The New School and includes roundtrip economy air ticket from the fellow’s city of residence to New York and $1,000 for honorarium and living expenses. While in New York, the Fellow hosts a presentation and discussion on their work; meets with representatives of other New York universities, and political and civil society leaders; gives a public lecture at The New School; and visits civil society organizations and multilateral institutions, local government offices, cultural centers, museums, and libraries. After completion of the Fellowship, the Fellow must deliver an essay between 8,000 and 15,000 words which elaborates on the discussions they’ve held during the semester.